When you get invited to a show that’s in a college, you think you know exactly what you’re going to get. Exclusive interview: Chris Brooker talks ‘I Am The Tag-Team Champions’ & Announces New William Regal Show! Brooker and Billy Kirkwood debut their show ‘I Am The Tag-Team Champions’ at Edinburgh this weekend. He describes it as a “love-letter to professional wrestling”; after a lengthy discussion about how they could make a show about wrestling appeal to a wider audience, they decided not to bother, and instead opted to make a show just for people who like wrestling. 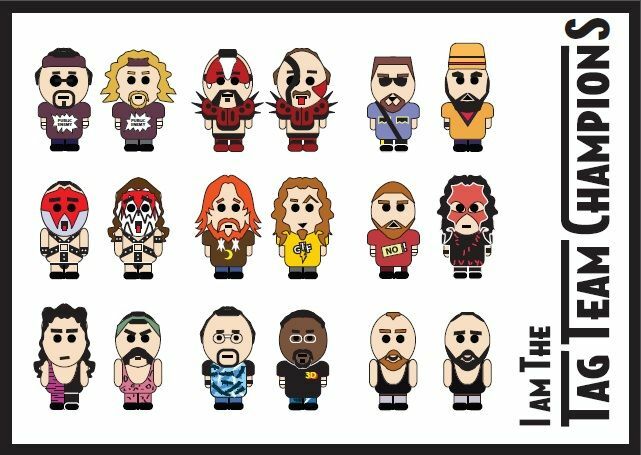 The poster for the show is stylised artwork of several sets of tag-team champions, plus Brooker and Kirkwood. How on earth did they decide who to include and who to omit? Question: is WWE ‘ahead of the curve when it comes to accepting sexual orientations’? If you’ve not seen it already – and don’t have a moral objection to clicking through to TMZ – Darren Young gave an interview at LAX saying that he is gay. It’s an interesting short chat – Young doesn’t seem to want to have an extensive discussion about it, after his initial statement, and why should he? – and it’s important. Well, it does matter. The interview touched on one of the reasons why – it shows that gay men can make it to WWE and, as Young says, be happy and live their dream. But it also matters because at shows in 2013, wrestlers still do the spot where one’s on all fours and one’s kneeling behind him, and they encourage people to laugh at the very concept that such very manly men could ever be gay. It matters because crowds still chant “Gay boy!” at heels. It matters because WWE had the chance ten years ago to promote gay characters in wrestling, and instead they put the cause back by another ten years. It matters because Bruce Hart’s book dismisses Adrian Street as having a “fag gimmick”. It matters because there have been gay and bisexual male wrestlers before who have never publicly said that they are gay. It matters because not so long ago people lost their jobs – in wrestling and in other industries – for being gay. So it might seem odd for congratulating someone for talking about their sexuality – but this is big news. And it matters. 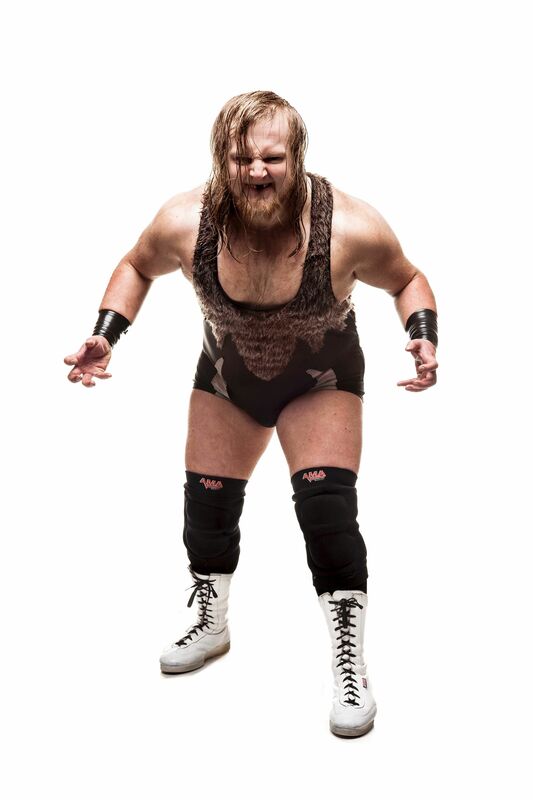 Last time I interviewed Eddie Dennis (for Spandex, Screw Jobs and Cheap Pops), he was telling me that he’d readjusted his goals in wrestling in order to prioritise his personal life and his day job. And since then his in-ring career has gone from strength to strength – most recently taking on Doug Williams at PROGRESS. 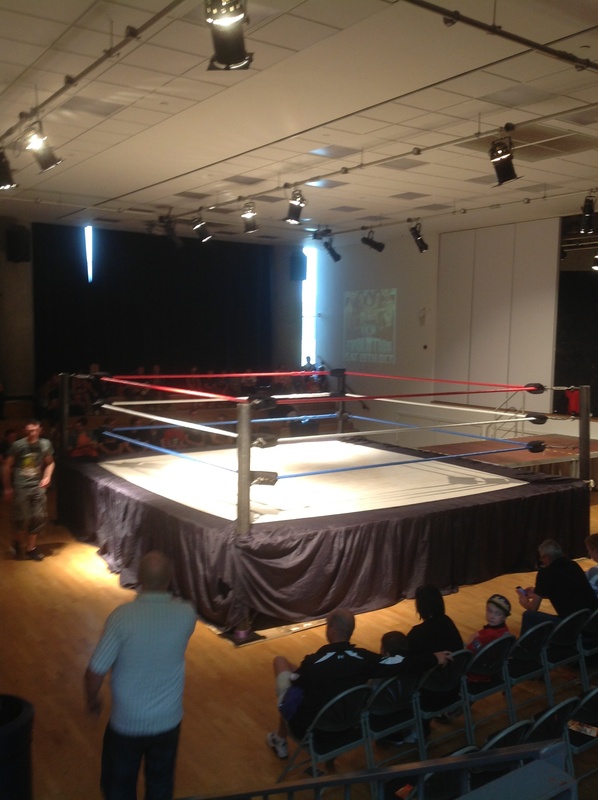 Question: how can UK wrestling stop unwanted “audience participation”? This might be a bit of a ramble, because I don’t actually have any answers – but I am sick and tired of going to shows where audience members take it upon themselves to try and fight wrestlers, or think they fancy a go in the ring. Last night at House of Pain: Evolution, a couple of men (with children! What a great example to set) kept trying to get themselves involved with wrestlers, starting with Bam Bam Barton (forcing the match referee to leave the ring and separate them) as well as Kris Travis (who managed to shrug them off). The resurgent Triple X Wrestling have some fascinating shows coming up – not least their August spectacular which includes the legendary Sabu, who’s up against South Wales’s very own Wild Boar, Mike Hitchman.